Vancouver’s top sights are all mapped out for you to explore at your own pace with this hop-on hop-off trolley tour. 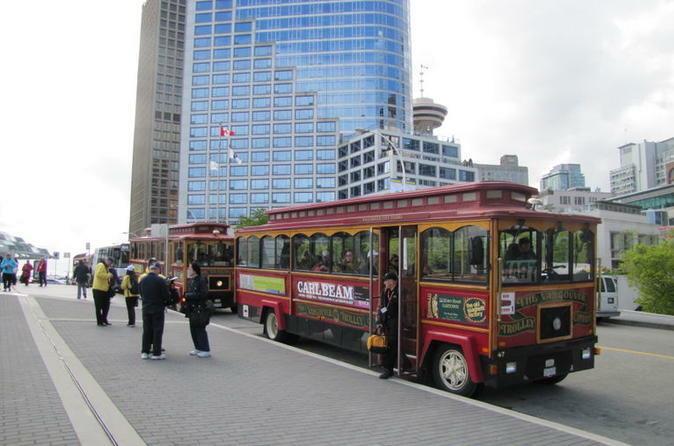 Hop aboard a San Francisco-style trolley and listen to live commentary as you pass 34 sites, including Stanley Park, Granville Island and Gastown. Your ticket can be used over two consecutive days. Take the entire tour in 2.5 hours or hop off the trolley to sightsee, shop or dine out. 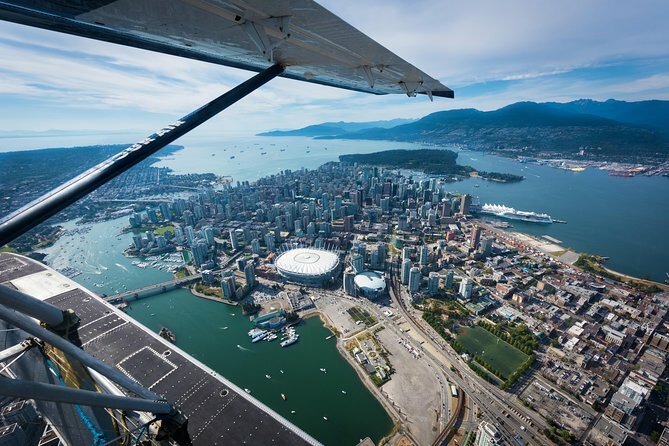 For stunning city panoramas, upgrade and add entry to Vancouver Lookout at Harbour Centre. 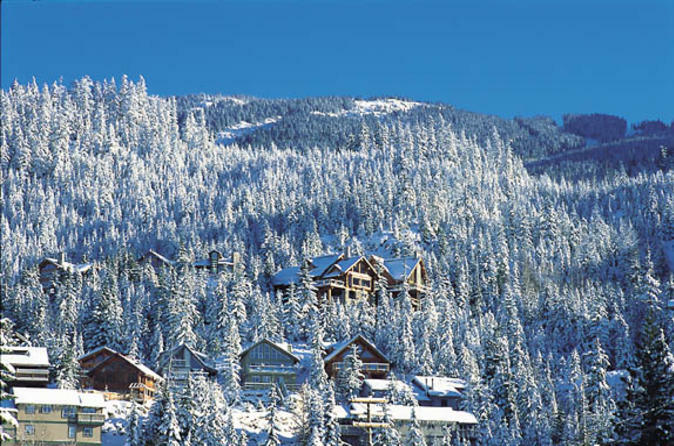 Leave the city of Vancouver behind and enjoy a full-day small-group tour to the famous resort town of Whistler! You'll journey past huge mountains, see the third-tallest waterfall in British Columbia, and have ample free time to sample the exciting seasonal activities offered in Whistler Village. 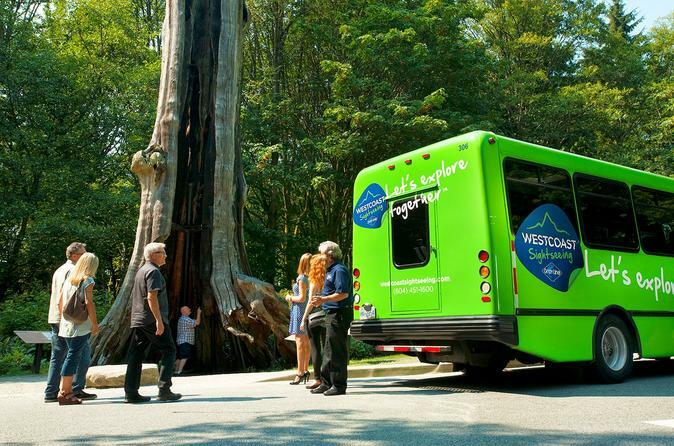 Scheduled tour stops include Squamish, Whistler Village, Shannon Falls and the Squamish Lil'wat Cultural Centre. With a maximum group size of 30 passengers led by a friendly and knowledgeable guide, you are ensured of a personal and intimate experience on this memorable day trip from Vancouver. 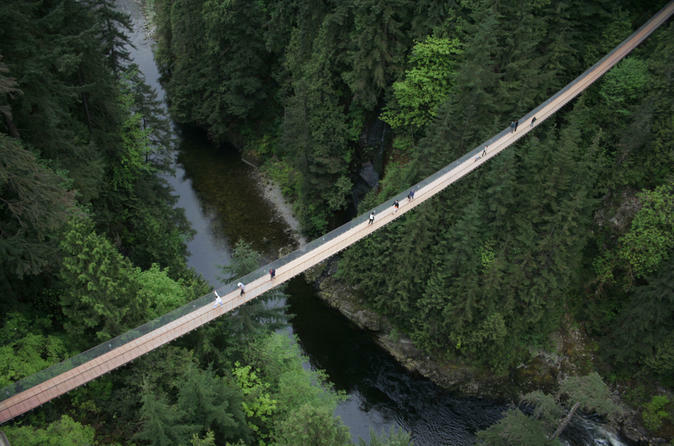 Only minutes away from downtown Vancouver, Capilano Suspension Bridge lets you experience the natural splendor of British Columbia. 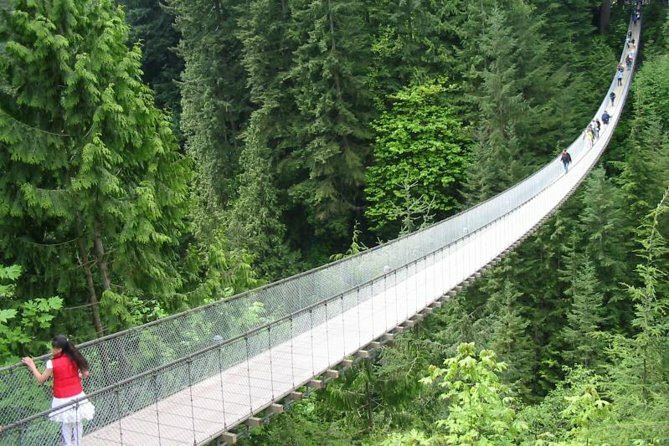 Breathe in the cedar-scented rainforest air as you make your way across the spectacular suspension bridge, walk through the rainforest on the Treetops Adventure and feel like a bird as you soar over the evergreens on the new Cliffwalk! With mobile tickets, simply scan your phone for direct entry into the Capilano Suspension Bridge Park. 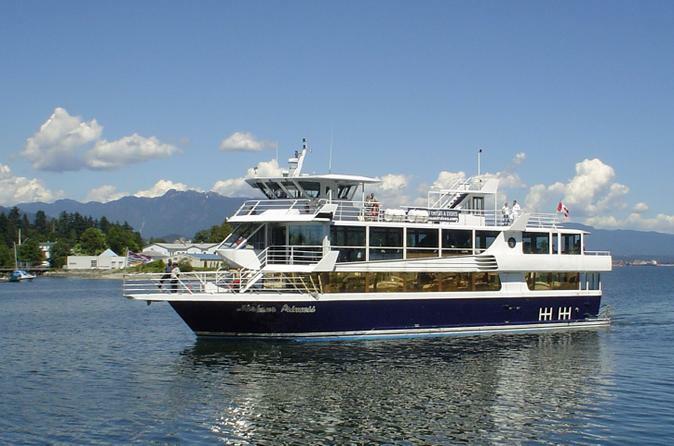 See Vancouver’s waterfront sights while you dine on a sunset dinner cruise. 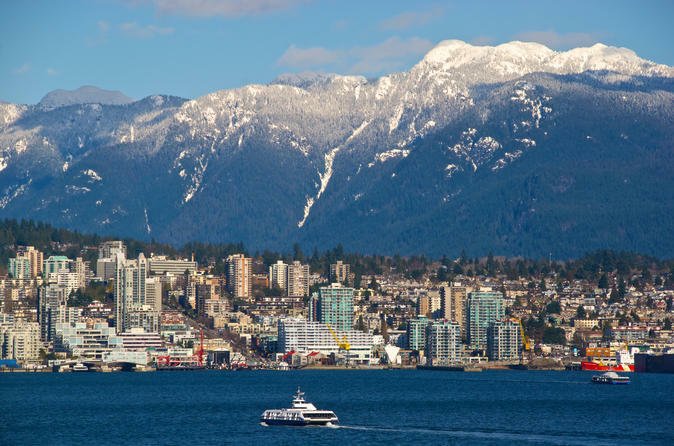 This leisurely cruise takes you past the downtown skyline, Canada Place, the North Shore Mountains behind the North Shore, the West Vancouver shoreline and more. Take in the sights and sounds of the city as you enjoy live music and delicious West Coast-themed cuisine. You'll have the best spot in Vancouver to watch the sun slowly disappear into the Pacific Ocean! 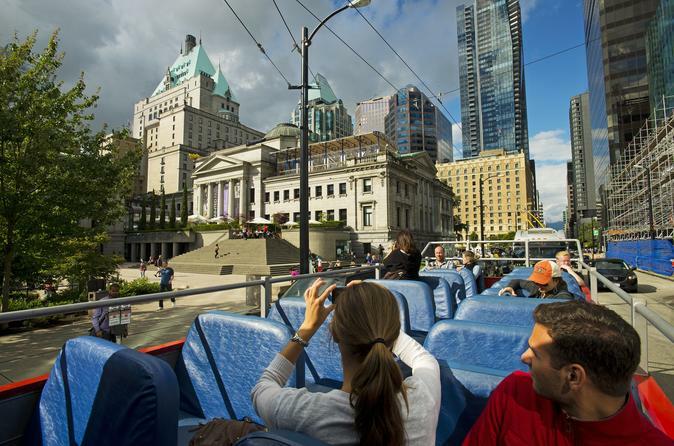 Get to know the vibrant city of Vancouver aboard an open-top bus on this hop-on hop-off tour. With the option of a 48-hour or 24-hour sightseeing pass, you get to create your own itinerary and set your own timetable. Hop off at any of the 24 stops, which includes major attractions such as Chinatown, Stanley Park and Gastown, and explore historical landmarks, eat at trendy eateries and shop along Robson Street. After sightseeing, hop off and join the locals at English Bay Beach. 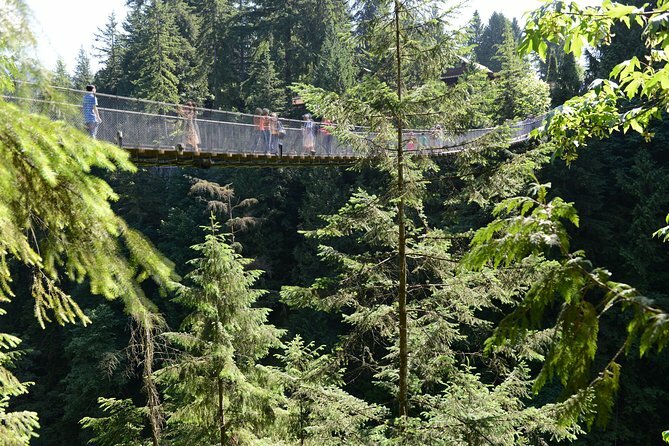 On this Vancouver tour by comfortable coach, not only will you visit top Vancouver attractions including Stanley Park, Granville Island, Gastown and Chinatown, but you’ll also experience the thrilling, scenic Capilano Suspension Bridge! You'll have time at several attractions to explore on your own by foot, and your guide will provide commentary about the places you visit. 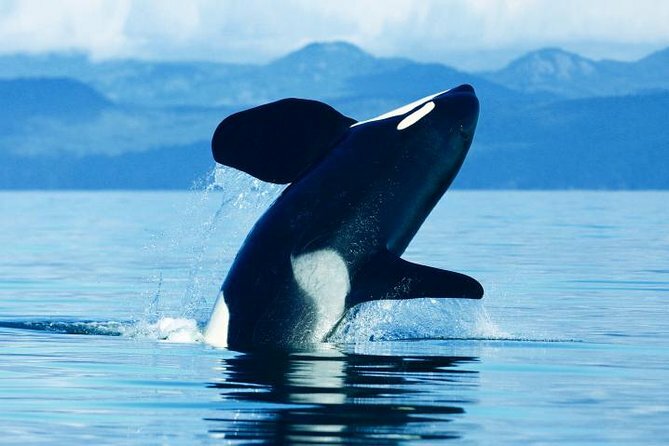 While in Vancouver, don't miss the chance to take a whale-watching tour and spot killer whales, porpoises, seals, eagles and other wildlife amid the stunning scenery of Canada’s southwest coast. Join your professional naturalist and board a first class, modern vessel for a 3- to 5-hour expedition, starting in the picturesque, historic fishing village of Steveston and traveling through the spectacular Gulf Islands and San Juan Islands. 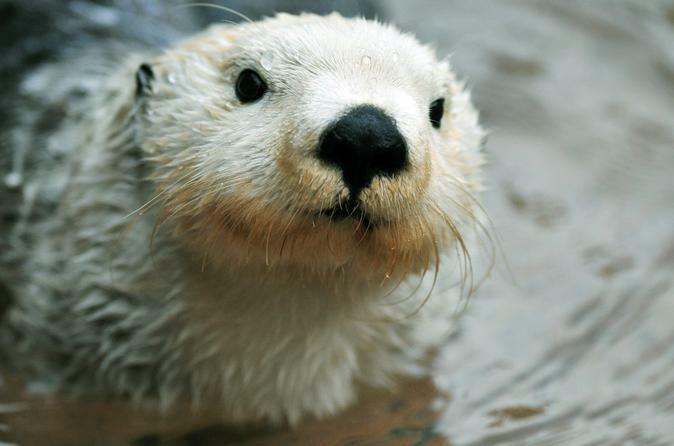 The area is renowned for attracting whales, and this tour enjoys a 90% sighting success rate. On your quest to find orcas (killer whales), you’ll have the opportunity to see the inhabitants of this diverse marine ecosystem, including bow riding Dall’s porpoises, sea lions, bald eagles and seals. 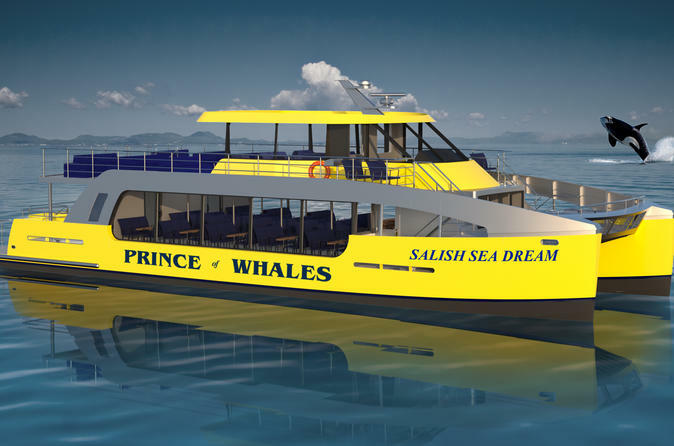 Select the shuttle option to include round-trip transportation from downtown Vancouver, and spend a morning or afternoon in touch with nature on this memorable whale-watching tour! Do it all in Vancouver! 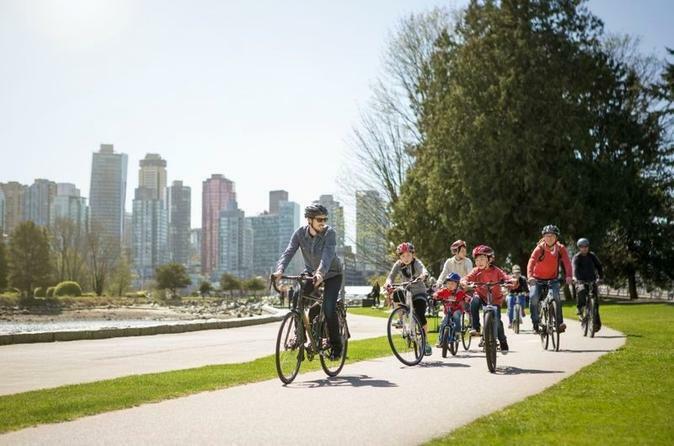 Explore the city with a Vancouver Trolley hop-on hop-off tour, enjoy panoramic views from the Vancouver Lookout observation deck at Harbour Centre, and visit Vancouver Aquarium — the city's best-loved attraction and Canada’s largest aquarium. 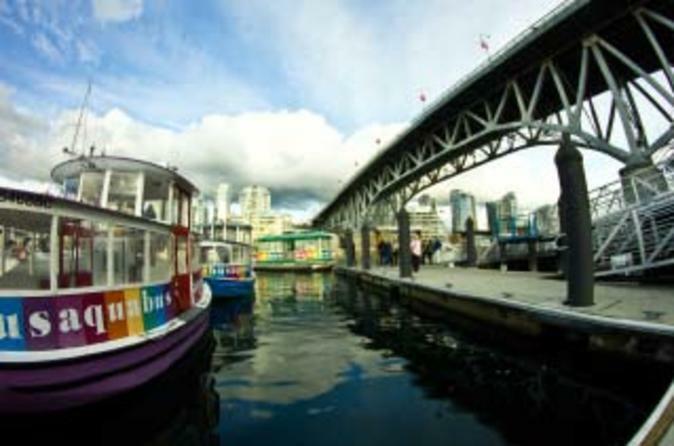 This combo tour gives you two consecutive days to explore the 34 trolley stops throughout Vancouver, including a one-way ferry ride on False Creek. Have a few hours to kill in Vancouver before your cruise? 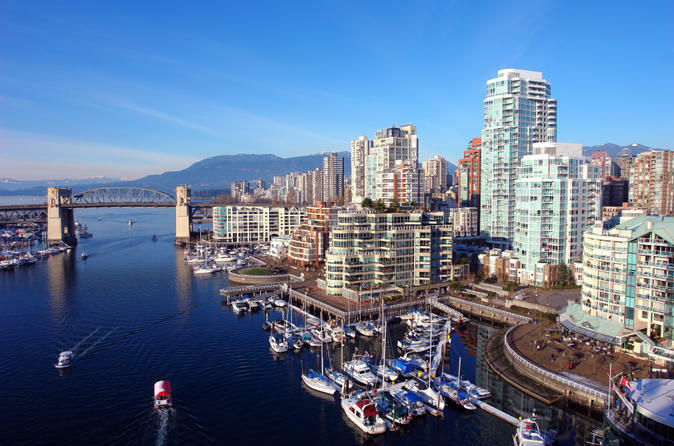 Then opt for a Vancouver City Highlights Tour and uncover the best of the beautiful capital of British Columbia before being transported directly to the cruise terminal to join your ship! Your luggage is transported with you so there is no need to worry about taxis or transfers. 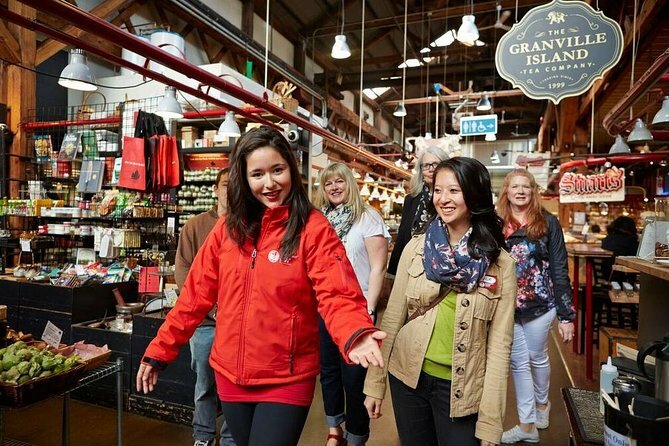 Get VIP foodie access at the world-famous Granville Island Public Market on this 2-hour walking food tour! The Public Market is the crown jewel of Granville Island, filled with fresh produce and one-of-a-kind artisans. Indulge in 20+ signature Canadian tastings - breads, cheeses, charcuterie, melt-in-your-mouth donuts and more! Noisy and chaotic, yet irresistibly atmospheric, Granville Island is a paradise for food, art and culture. 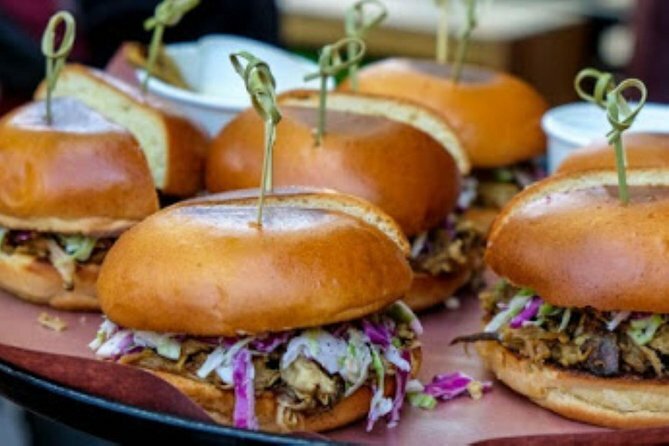 Taste the heart of Vancouver's food scene and learn insider tips about the market’s best food stalls and restaurants. This food tour is limited to 15 people, ensuring you enjoy a small-group experience! 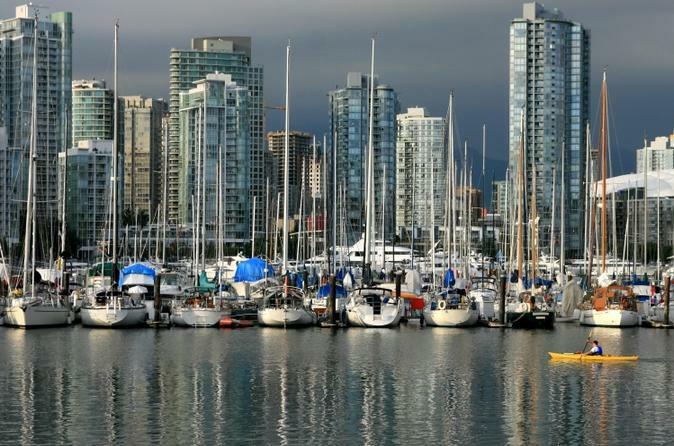 See Vancouver your way, on a private tour of the seaport city's major attractions and highlights. Spend as much time as you like at Stanley Park’s Brockton Point, Granville Island, Chinatown and Gastown, while learning insightful commentary from your private guide. A personal guide leads you and your group from site to site. 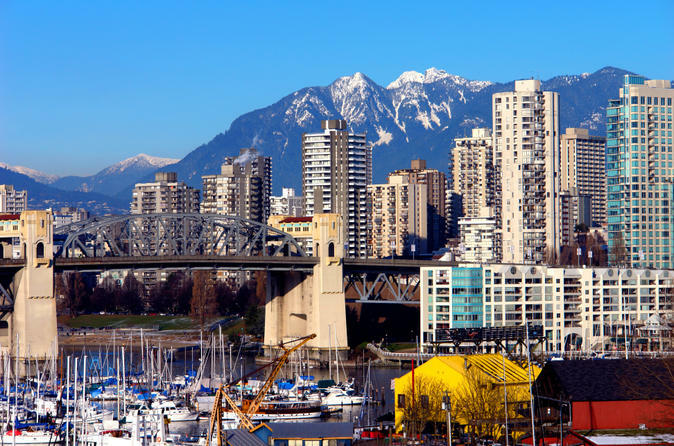 Travel to Queen Elizabeth Park, the city’s highest point, for amazing views of downtown and the North Shore mountains. 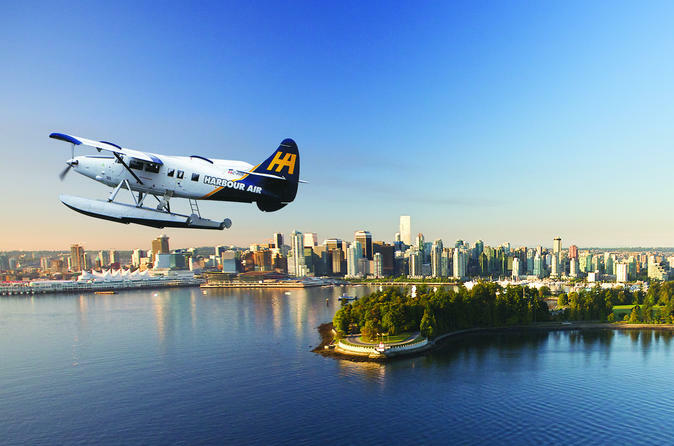 What could be a better way to discover Vancouver? Experience the best of Vancouver's multicultural dining on a 3-hour walking food tour! 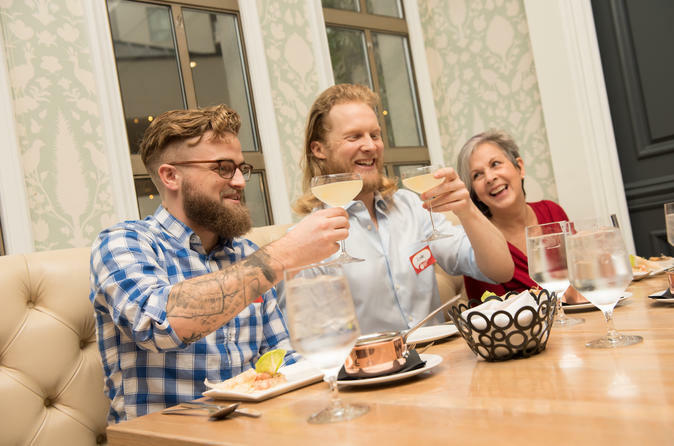 In a small group, take a mouthwatering adventure to indulge in four best-in-class downtown establishments. This tour highlights Vancouver's most-iconic cuisines - the fresh, seasonal, and diverse flavours of West Coast seafood, award-winning Chinese dim sum, French patisserie, British Columbia wines, cocktails, craft beer and more! Dine, drink and explore amongst striking architecture and stunning waterfront views! 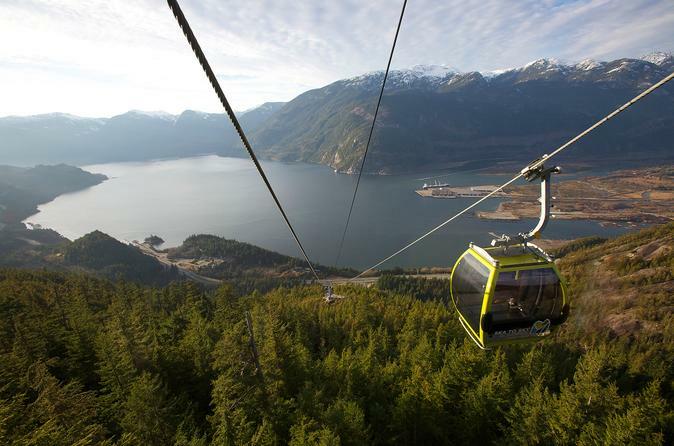 Combine a Vancouver sightseeing tour and a day trip to Whistler with this Vancouver Super Saver. 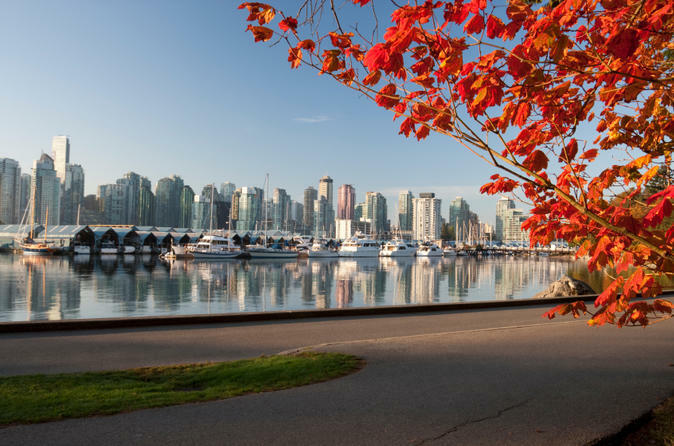 See top Vancouver attractions such as Stanley Park and Gastown aboard a comfortable coach, and then explore Granville Island by foot at your leisure. 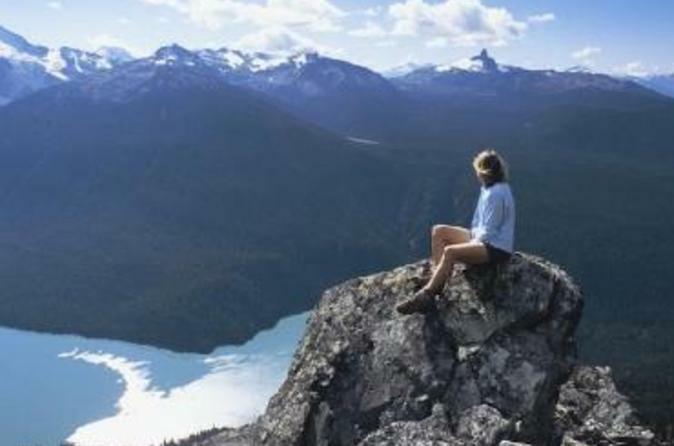 The next day, venture to Whistler for a guided tour and free time to enjoy optional outdoor activities. All transport is included. Combine four tours over five days with this Vancouver Super Saver to experience the best of British Columbia. 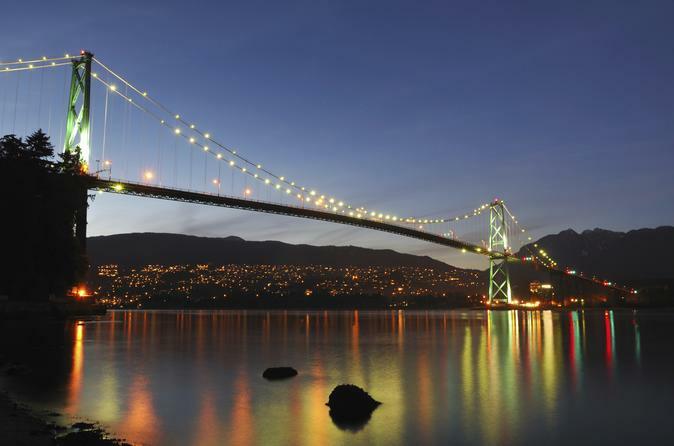 See top Vancouver attractions such as Stanley Park and Granville Island. In Whistler, take a guided tour to Shannon Falls and the Squamish Adventure Centre and enjoy free time to participate in optional outdoor activities. 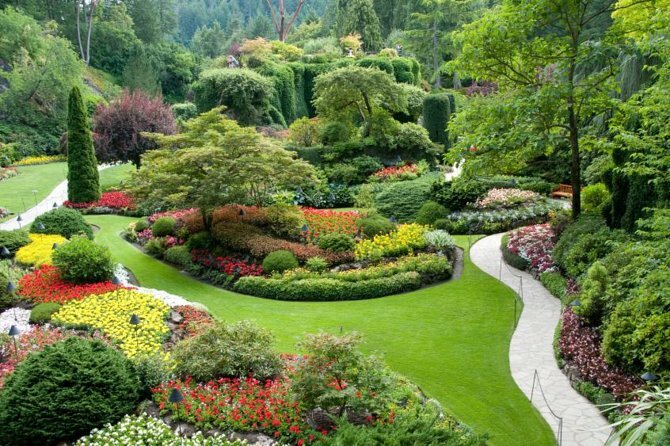 See Victoria’s highlights including the Butchart Gardens, and wrap up with a hop-on hop-off tour of Vancouver to explore more sites at your own pace. All transport is included. Escape the city and wind along fjords and inlets, ascend into the coastal mountains, and stroll through the pedestrian Village of Whistler during this epic day of exploration. 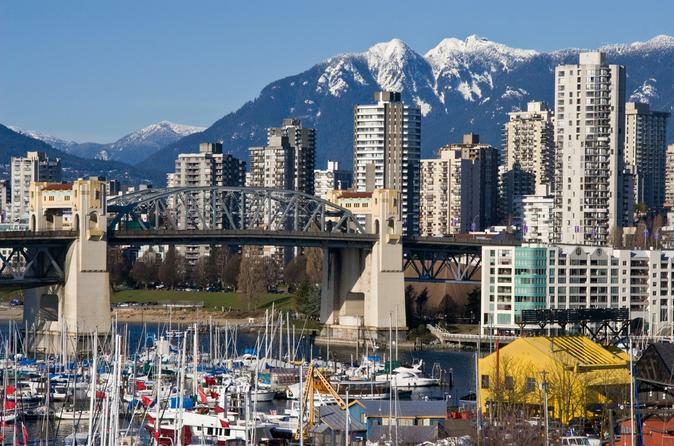 After a complimentary pick up from your hotel, depart Vancouver and head for the mountains! 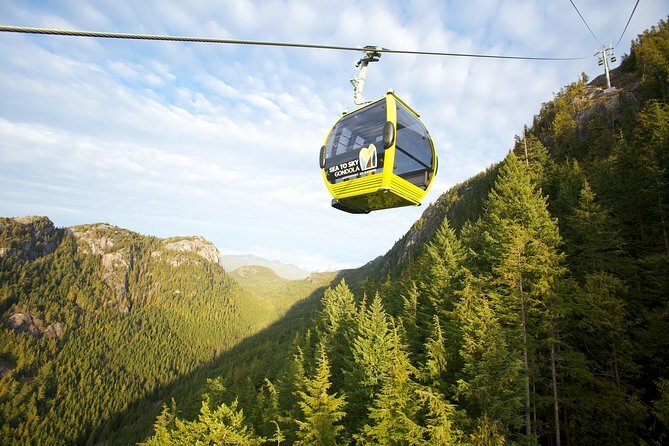 Stops include the scenic Sea-to-Sky Highway, Shannon Falls Park, Tantalus Glacier Range, Squamish Adventure Centre, and Whistler Village. During the day, your exclusive driver/guide will provide histories and fun facts about the region. The Vancouver North Shore Tour is an excellent way to get a little light adventure before or after your cruise. The half-day pre- or post-cruise excursion will take you into the stunning nature that surrounds the city. In just six hours, you’ll drive over the Lion's Gate Bridge, walk across the Capilano Suspension Bridge and see Grouse Mountain. 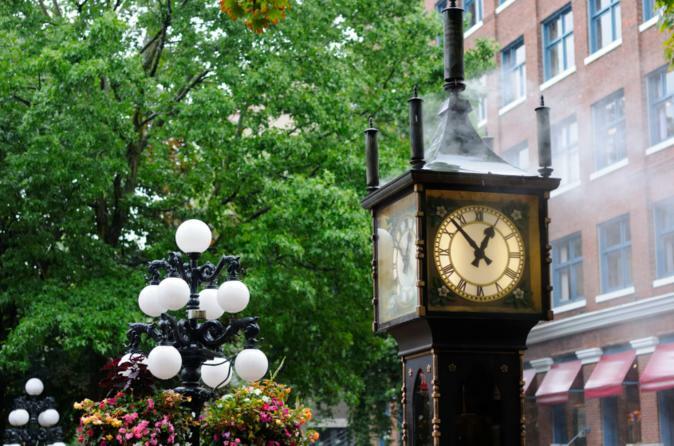 The Legendary Gastown Food tour takes you through the cobbled stone streets of Vancouver’s oldest neighborhood. Enjoy local craft beer, delicious cheese & prosciutto with flavourful local wine, Japanese kar-age style chicken, refreshing buratta caprese salad, beer-battered fish with hand cut fries, tasty Carolina-style pulled pork BBQ sandwiches, organic smooth soft ice cream, creamy awarding winning cheesecake, and delicious hand-made chocolates! 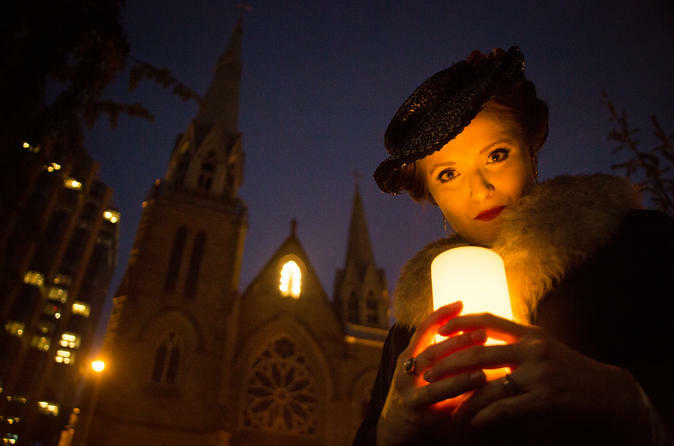 On this 2.5 hour walking food tour, a professional improv comedy actors full of passion for the city and its food will share the fascinating and funny little-known stories about Vancouver and its “Wild West” history that dates back 150 years. Learn about Gassy Jack, Gastown’s notorious founder and the stories that him famous and put Vancouver on the map. 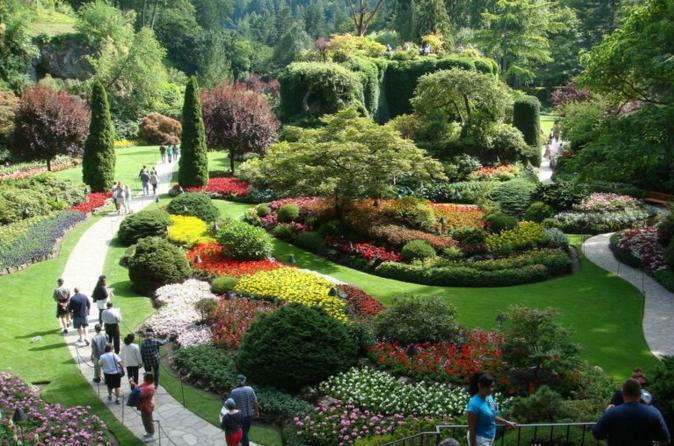 This private and personalized guided tour is the most fun and relaxing way to see Victoria. Not having to worry about crowded bus tours allows you to simply relax and enjoy the natural beauty of this city. Victoria, often referred to as the garden city, is full of history, old world charm and elegance. Zip around Vancouver’s spectacular waterways by Zodiac! This fast, inflatable boat provides a thrilling sightseeing adventure on the water and holds just 12 passengers, ensuring you enjoy a small-group experience. 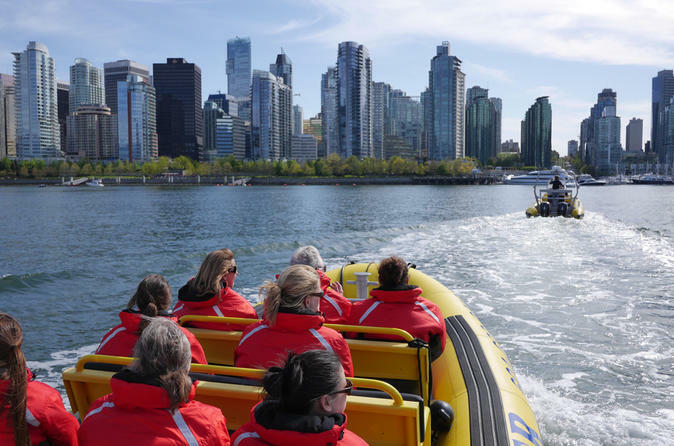 With an expert skipper-guide, cruise around Vancouver Harbour, Burrard Inlet, English Bay and False Creek, admiring top city attractions like Stanley Park and looking for dolphins, seals and other local wildlife. Food truck popularity has exploded in cities across North America, and Vancouver has some of the best food trucks around! During this two-hour small-group tour, discover the city’s most popular food trucks and dine on a four-course lunch of the most delicious offerings. 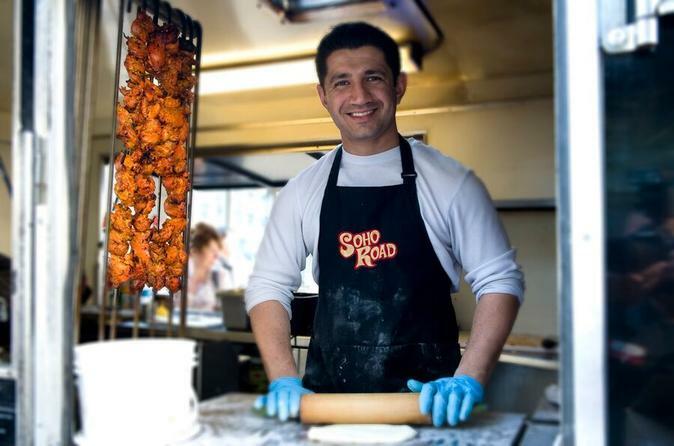 You’ll be led by a passionate foodie guide and sample street food highlights including a hot, wild salmon salad, butter chicken on freshly baked naan bread, Japanese fried chicken and a diablo cookie. 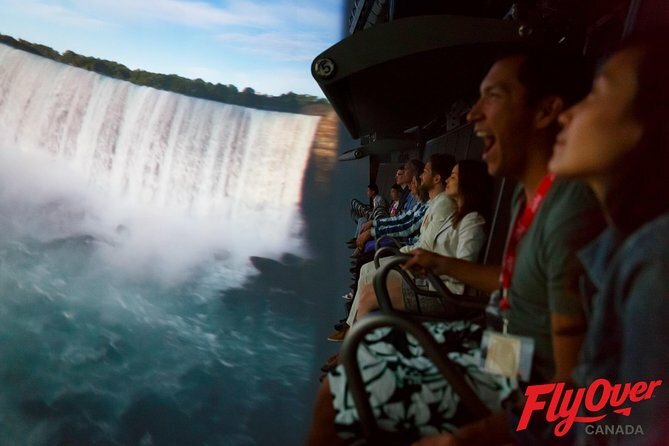 Combine four great experiences for the ultimate Vancouver day trip! Take a whale-watching cruise, sightsee around Victoria at your own pace, explore the beautiful Butchart Gardens, and top it off with a relaxing sunset cruise back to Vancouver. 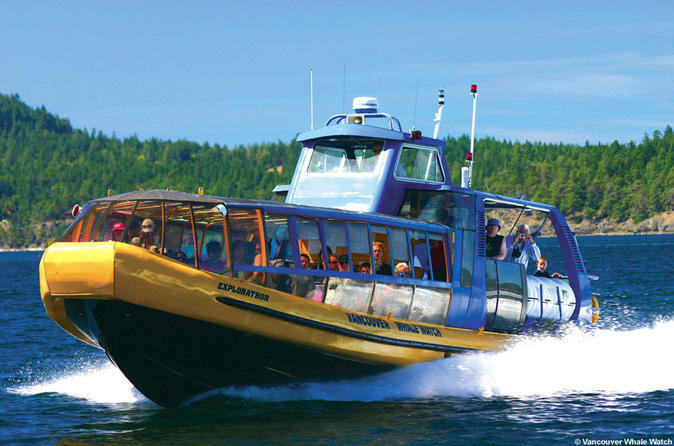 This is the most scenic and convenient way to explore Victoria in one day from downtown Vancouver. 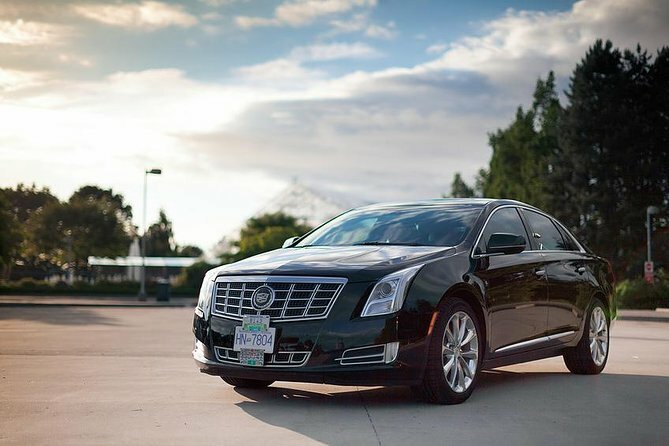 Experience a luxurious, hassle-free arrival with this private transfer from Vancouver International Airport (YVR) to Canada Place Cruise Ship Terminal, including a high-end vehicle of your choosing. Meet your driver at the airport and receive the royal treatment as you're whisked away from the airport to your Cruise Ship.